More than a dozen businesses in Parry Sound and Muskoka are sharing more than $5 million in FedNor funding. 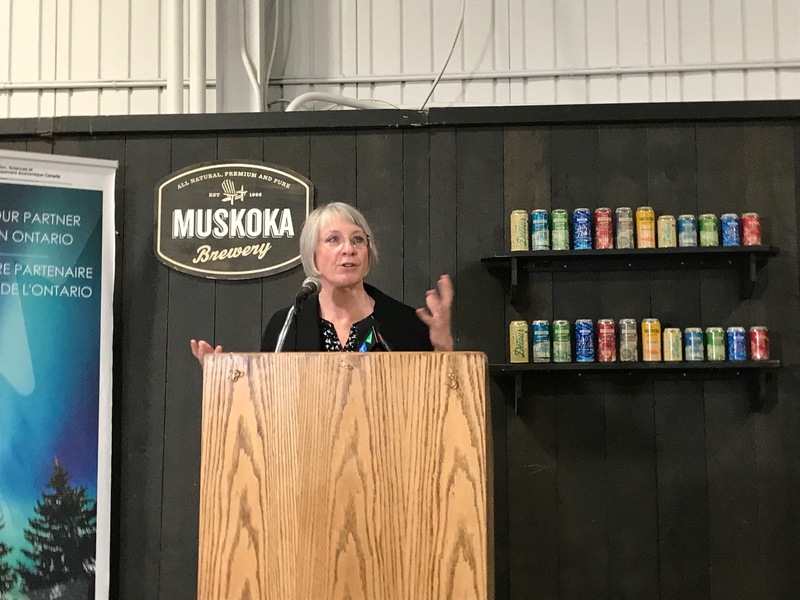 Minister of Employment, Workforce Development and Labour Patty Hajdu made the announcement this morning at the Muskoka Brewery in Bracebridge. The brewery is one of the 13 funding recipients. It’s getting $1,999,800 to help buy equipment and other upgrades that will allow the brewery to package its beer quicker so it can meet the growing demand across the country for the product. “Today is a great day for Muskoka Brewery. I would like to thank Minister Hajdu, FedNor, and the Government of Canada for this investment in our company. The team here at Muskoka Brewery has been pouring its heart and soul into growing our brand and we have taken steps through the years to reduce our environmental impact and grow our operations through innovation and technology. Thanks to this investment, we have been able to boost production to meet increasing demand and I am extremely proud to announce that we are now one of the largest independent craft breweries in Canada,” says Muskoka Brewery co-owner Bob MacDonald. Other projects include $750,000 for Muskoka Futures to help create new small and medium-size enterprises, and $100,000 for Main St. Local Kitchen’s to develop and implement a food production and distribution plan. “I am proud to be part of a government that recognizes the unique needs of Northern Ontario and is investing to strengthen communities, accelerate growth and innovation, and promote the region as a world-class tourism destination. This funding will help start and grow businesses through productivity improvements, new equipment and technology, training, mentoring and access to capital. 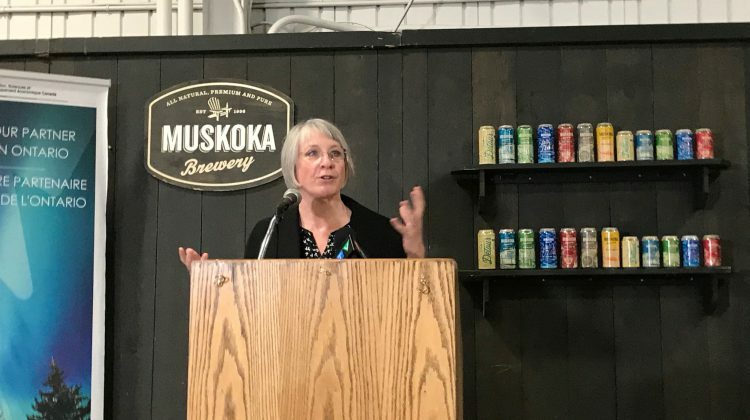 It will also help a number of young Canadians launch their careers while assisting local organizations and businesses access a talented and qualified workforce,” adds Hajdu. The other recipients are Township of Georgian Bay, Seguin Township, Parry Sound Area Community Business and Development Centre, Tooketree Passive Homes, Magnetawan First Nation, Muskoka Lakes Chamber of Commerce, Muskoka Tourism, Regional Tourism Organization 12 Parry Sound / Muskoka, and YWCA Muskoka. You can find more details on those projects at this website.